We got a fun package from Grandma & Grandpa Snow today. 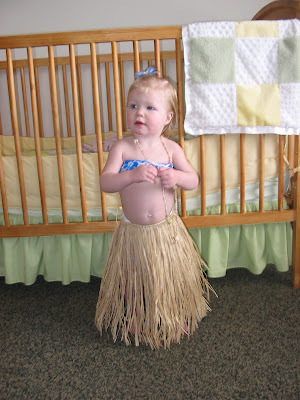 One of the gifts for Sadie was this hula girl outfit from their recent trip to Hawaii. Pretty much the cutest thing I have ever seen. She really likes the necklace. 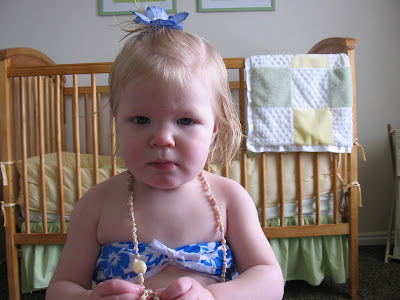 She also likes to brush her hair right after Mom has done it for the day. Close up of her chubby cheek. Is she just the cutest?!? 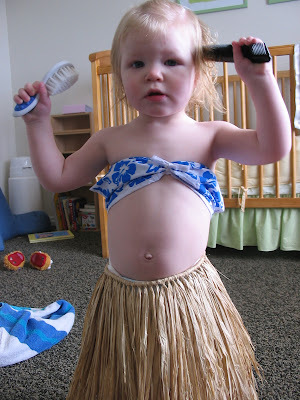 What a Hula Babe! She makes me want to do the hula! What a doll!!! 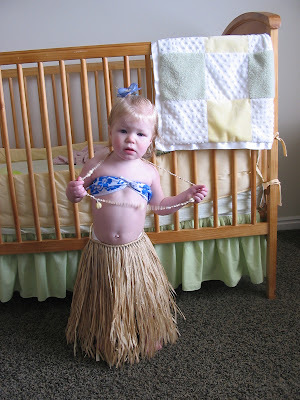 What a little hula babe! I just want to give that tummy a BIG kiss! She looks ready for summer! She really is so precious!